What was your favorite book of 1917? The main character, Dion Leith, was passionately in love with a woman who, though trained as a singer, believed her vocation lay in a religious order. She accepts Dion under the influence of a powerful sermon on the virtues of marriage. Both Dion and Rosamund think their spouse’s role is to make them happy, which is not a recipe for a happy marriage. When their son is accidentally shot while hunting with Dion -- an outing Rosamund herself had engineered -- Rosamund literally locks Dion out. He goes as far from Rosamund’s Gothic cathedral religion as he can get. Hichens doesn’t try to force a happy ending, as a lesser writer might. He settles for a hopeful ending, which is all that’s reasonable given the personalities of the marital partners. Do you think modern audience would enjoy in particular any of the 1917 bestsellers? The Red Planet by William J. Locke is probably the most accessible of my picks of the 1917 bestsellers. Although presented as a memoir, it’s really a cozy British mystery. Like Miss Marple, Duncan Meredyth listens to village gossip, observes who is with whom, and puts two and two together. But unlike Miss Marple, Duncan can be morose and dogmatic depending on how much his injuries are bothering him that day. Would you add any of the 1917 bestsellers to your permanent library? I think I might add Ernest Poole’s novel, His Family, which won the Pulitzer Prize for the Novel in 1918. It’s not as weighty as In the Wilderness nor as light as The Red Planet. Even though it’s set in New York City, His Family reminds me of Trollope’s Barsetshire novels in the way the events of the novel are isolated from world-changing events outside a very small subset of society. His Family’s characters are so ordinary, readers can’t help feeling they are real people. What was your least favorite novel from 1917? Probably my least favorite was The Hundredth Chance by Ethel M. Dell. It wasn’t awful, but it was so awfully like every other novel about a marriage of convenience. Any other comments about the 1917 bestsellers? Although armies were dug into trenches along miles of Western Europe, the war didn’t feature prominently in any of the 1917 bestsellers with one notable exception: the novel Christine by Alice Cholmondeley (pen name of Elizabeth von Arnim). Although the author’s introduction and a publisher’s note try to pass the work off as letters from Cholmondeley’s daughter, the letters are a total fabrication, anti-German propaganda. The work is a lousy novel, but a very instructive study in persuasion. Any book you are looking forward to reading in the 1918 list? I’ve actually already read and reviewed all the 1918 bestsellers at GreatPenformances already (I’m now reviewing bestselling novels of 1970 through 1999). Instead of saying what I’m looking forward to, I’ll just say that the 1918 bestseller list houses several novels about The Great War that ended that year. Readers of the Fine Books & Collections blog may be interested in looking at novels about that world-changing conflict. I don't think I have a favorite, but I do have one that I stretched my understanding of people more than the others: In the Wilderness by Robert Hichens. It's what I'd call a spiritual autobiography although it's not about "church religion." The main character, Dion Leith, was passionately in love with a woman who, though trained as a singer, believed her vocation lay in a religious order. She accepts Dion under the influence of a powerful sermon on the virtues of marriage. Both Dion and Rosamund think their spouse's role is to make them happy, which is not a recipe for a happy marriage. When their son is accidentally shot while hunting with Dion -- an outing Rosamund herself had engineered -- Rosamund literally locks Dion out. He goes as far from Rosamund's Gothic cathedral religion as he can get. Hichens doesn't try to force a happy ending, as a lesser writer might. He settles for a hopeful ending, which is all that's reasonable given the personalities of the marital partners. The Red Planet by William J. Locke is probably the most accessible of my picks of the 1917 bestsellers. Although presented as a memoir, it's really a cozy British mystery. The sleuth is a paraplegic who lost his legs in a shell blast in the Boer War, which makes him seem like an old duffer to the local young people, who call him "Uncle." 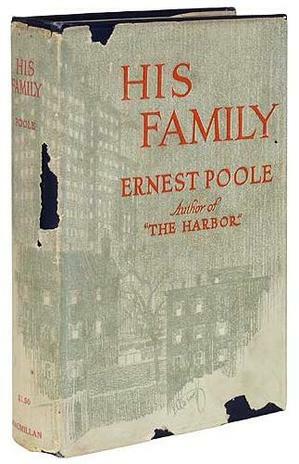 I think I might add Ernest Poole's novel, His Family, which won the Pulitzer Prize for the Novel in 1918. It's not as weighty as In the Wilderness nor as light as The Red Planet. Even though it's set in New York City, His Family reminds me of Trollope's Barsetshire novels in the way the events of the novel are isolated from world-changing events outside a very small subset of society. His Family's characters are so ordinary, readers can't help feeling they are real people. Probably my least favorite was The Hundredth Chance by Ethel M. Dell. It wasn't awful, but it was so awfully like every other novel about a marriage of convenience. Although armies were dug into trenches along miles of Western Europe, the war didn't feature prominently in any of the 1917 bestsellers with one notable exception: the novel Christine by Alice Cholmondeley (pen name of Elizabeth von Arnim). Although the author's introduction and a publisher's note try to pass the work off as letters from Cholmondeley's daughter, the letters are a total fabrication, anti-German propaganda. The work is a lousy novel, but a very instructive study in persuasion. I've actually already read and reviewed all the 1918 bestsellers at GreatPenformances already (I'm now reviewing bestselling novels of 1970 through 1999). Instead of saying what I'm looking forward to, I'll just say that the 1918 bestseller list houses several novels about The Great War that ended that year. Readers of the Fine Books & Collections blog may be interested in looking at novels about that world-changing conflict.